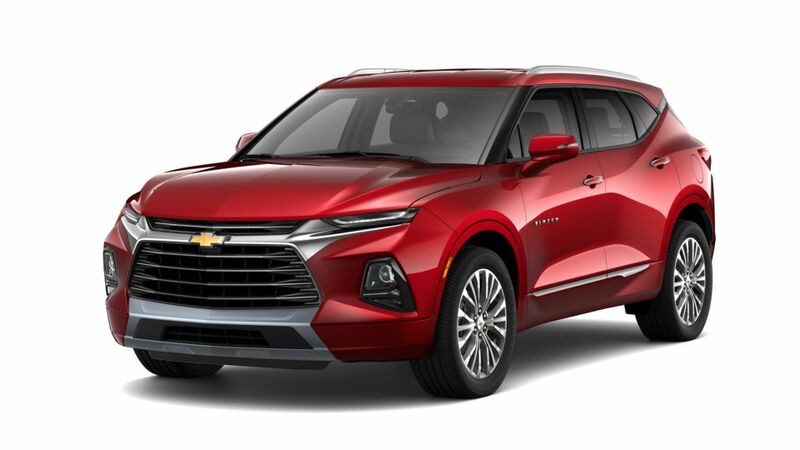 The completely redesigned 2019 Chevrolet Blazer is an excellent addition to Chevy's lineup of sporty crossovers. This new SUV is all about design, blending style and versatility with its strong silhouette and adjustable rear seats. Both front- and all-wheel drive are available on the Blazer, and it has 4,500 lbs. max towing for weekend road trips. In addition, traction mode selection technology helps you adjust vehicle performance depending on weather and road conditions. Find the best new Chevy Blazer for you and contact us at (800) 930-2965 for more info. For more Blazer info, visit the New 2019 Chevy Blazer model page for vehicle photos and trim packages, or check out the 2019 Chevy Blazer preview page for release date and to signup for a test drive!